Many area gardeners are in harvest mode this time of year, gathering tomatoes, peppers, pickles, grapes and other fruit for canning, freezing or drying. 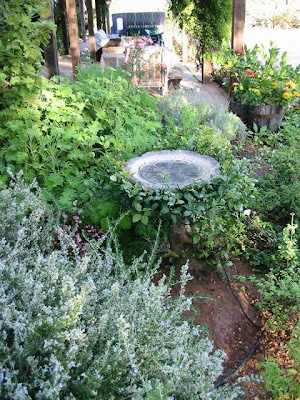 Don't overlook the herb garden when preserving your garden goodies. Great for art or craft projects such as wreath making and potpourri, creating oils and brewing tea, dried herbs from your garden are also a bargain for your kitchen spice rack. • Harvest only from those plants that are healthy. 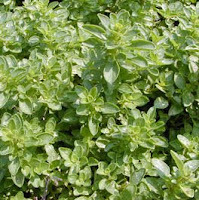 Avoid drought stressed herbs. salad burnet, winter savory and Italian oregano. Salad burnet is very pretty, worth growing as an ornamental even if you don't use it. I have found that it reseeds happily, much like borage: not invasive, but just popping up here and there. And, Don also passes along this tip: "Freeze some basil, it's a great way to get fresh flavor in the winter." I wish Don would tell how he freezes the basil. I'm not happy with what I have frozen.